How NOT to write a news article about a clinical trial - HDBuzz - Huntington’s disease research news. A recent article in the UK newspaper the Daily Telegraph has HD families very excited. The title, “First drug to reverse Huntington’s disease begins human trials”, certainly sounds exciting! But what’s really going on? HDBuzz is here to help us untangle hope from hype in the huntingtin lowering world. The UK newspaper the Daily Telegraph recently posted an article titled: “First drug to reverse Huntingdon’s disease begins human trials”. 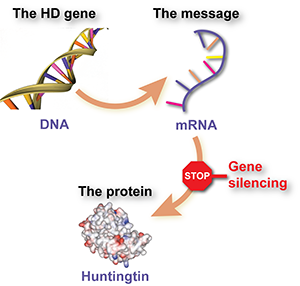 Your first sign that an article about HD may not be well researched is the fact that they’ve misspelled Huntington’s disease as Huntingdon’s disease! A garbled news story about HD in the Daily Telegraph might have distracted families from a very exciting achievement. The authors of the article also apparently have a time machine, because they reported that the research they were describing: “was presented at the American Academy of Neurology’s 68th Annual Meeting in Vancouver, Canada, April 15 to 21, 2016”. Given that the article was posted online on February 26th, 2016, this is a pretty neat trick! What’s the article actually describe? So what’s the actual news behind this garbled news story? The HD drug trial being described is testing whether a huntingtin lowering approach using drugs called antisense oligonucleotides (or ASOs) is safe and effective for HD. If this sounds familiar, it’s because you probably read about it here, on October 19th, 2015: http://en.hdbuzz.net/204. Briefly, a company called Ionis, previously known as Isis, has developed drugs that reduce the levels of the harmful huntingtin protein in cells. In collaboration with the drug company Roche and a worldwide team of physicians, they’re testing whether this drug is safe in early-stage HD patients. Of course, we hope that this drug will not only be safe but will also improve symptoms or even slow the progression of HD, but that answer will come from future trials. Ionis has previously shown that ASO drugs make HD mice look much healthier. This is very cool, but it’s definitely not evidence that these drugs “reverse Huntington’s disease”, as stated in the article. Take it from someone who has studied HD mice for over 10 years - only humans have HD! The lab results with Ionis' drugs in HD mice are extremely exciting, but only trials in humans can tell us whether these drugs do anything for HD. Why would a story like this get written at all? It’s unfortunately become common for papers like the Daily Telegraph to rely on press releases from drug companies, universities and academic societies as source material for science news. A little digging in this case would have revealed that the trial supposedly being announced is already running, and that there really was no new story to get people excited about. Unfortunately, accurate science journalism doesn’t seem to be a priority of many news agencies. While the drug trial described in the Telegraph’s news story was already well known to HDBuzz readers, the field just had another major advance that you might not have heard about. The goal of therapies like ASOs is to disrupt the normal process by which genes (like the HD gene) get turned into proteins. Ionis is testing their ASO technology in other brain diseases, besides HD. One of these is a terrible disease of children called spinal muscular atrophy, which results in progressive loss of muscle function, commonly leading to permanent disability and early death. One experimental treatment for spinal muscular atrophy is the delivery of ASO drugs to the fluid surrounding the brain and spinal cord. The ASOs being developed for spinal muscular atrophy have a different sequence than the ones Ionis is testing for HD, but are delivered in much the same way, and have a similar chemical structure. 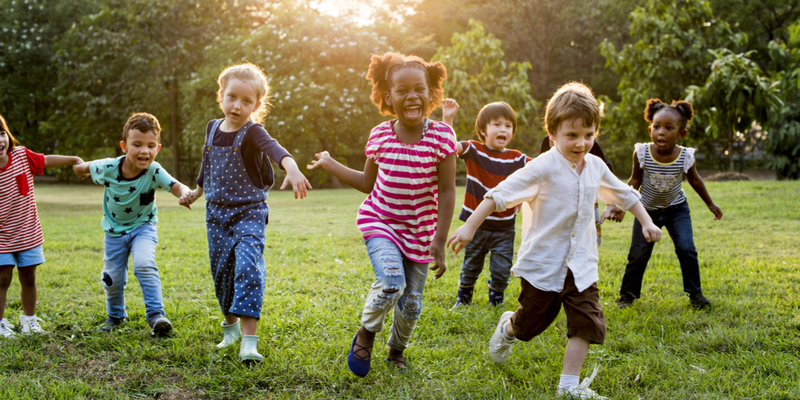 So it’s big news that on March 8th, a group of researchers published results describing the successful completion of a safety study of an ASO drug in spinal muscular atrophy! That study, very similar to the Ionis/Roche one being done currently in HD, was designed to establish whether the treatment was safe and well-tolerated by kids with spinal muscular atrophy. As in the HD trial, ASOs for spinal muscular atrophy have to be delivered directly into the spinal fluid. This is a relatively routine procedure for neurologists and is very similar to the epidural anesthesia that many women have during childbirth, but is obviously much more complicated than taking a pill. So it’s huge news that kids with spinal muscular atrophy were able to have the drugs delivered in this way without any major complications. The spinal muscular atrophy study also gives us very important new information about how long ASOs last in the fluid surrounding the brain. Researchers found that even 4-5 months after a single injection, half of the injected drug was still around. This means we might be able to dose people less frequently in future HD trials of ASOs, which is great news. Another major finding of the spinal muscular atrophy study was that kids who received the highest dose of drug actually had improved symptoms, which is not the expected outcome for spinal muscular atrophy. The numbers are small (only 10 kids in the group that showed improvements), but this is an incredibly exciting result for families afflicted by spinal muscular atrophy, and it bolsters our hope for ASOs in HD. Ignore the noise, keep your eyes on the prize! This busy HD news week is a reminder of the ups and downs of trying to follow HD research. Sometimes what seems to be a big advance is really something that we already knew about, re-packaged by a news outlet looking for a story. But remember, really important advances are being made in the clinic and labs around the world that give us realistic hope for effective treatments against HD. Our advice - try to tune out the noise, when big stuff happens, you’ll hear about it here!